At our drug rehab center, we are dedicated to providing effective and efficient addiction recovery treatment to as many different clients as possible. Whether you’re someone who’s been addicted for a long time, or if you’ve just become entangled in addiction, we’re here to provide you with the support you need to overcome. 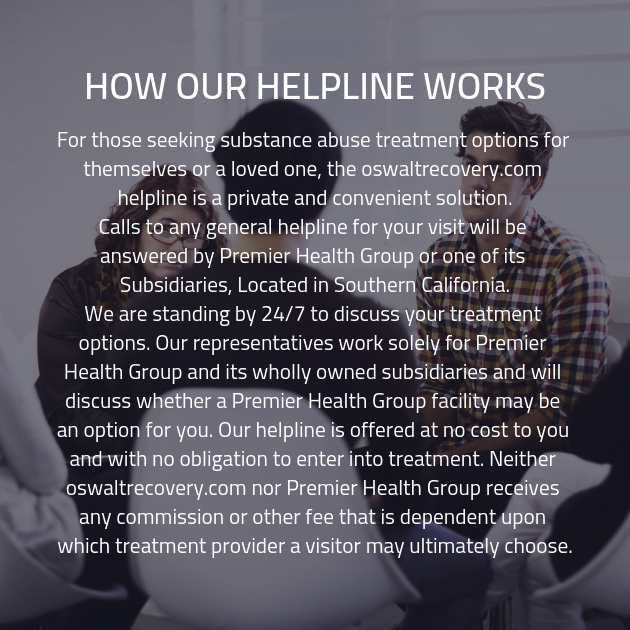 At our substance abuse treatment center, we have a program that determines where you need special, extra support and applies it accordingly. When you’re ready to take part in an addiction recovery program that’s a cut above the rest, get in touch with one of our specialists. Every client who enters our drug rehab facility begins by taking part in a comprehensive, in-depth intake interview with one of our friendly and well-educated staff members. We’ll ask you a variety of questions about your history of substance abuse, your substance of choice, and your usage habits. We may even ask you a few questions regarding your history of substance abuse, and what led you to addiction to begin with. This information will be integral in ensuring that our clients get the care they need, because it will be used to construct their personalized addiction recovery treatment schedule. All rights reserved. Copyright 2019. Oswalt Recovery.